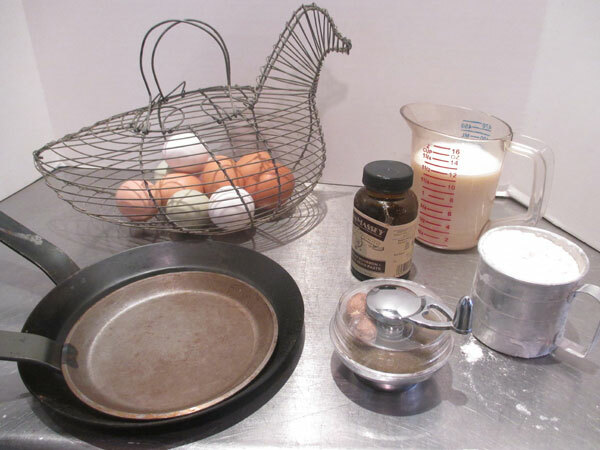 In the bowl of your blender (or mixing bowl), mix together the milk and eggs until well blended. Add the vanilla and grated nutmeg. Gradually blend in the flour until the mixture is smooth. Let rest for 20 minutes, or pour in a jar and refrigerate overnight. 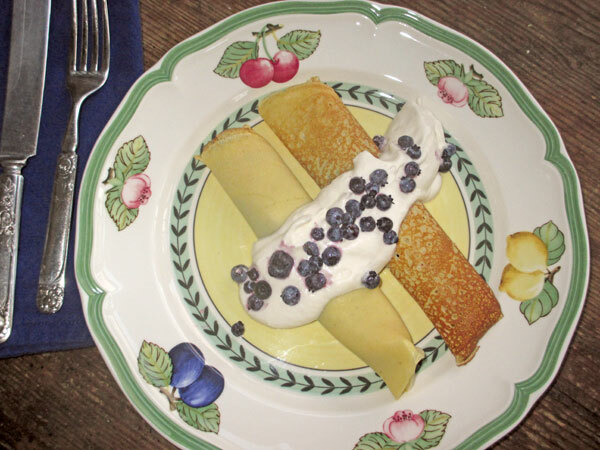 Combine the wild blueberry fruit sauce and wild blueberries in a saucepan. Cook over medium-low heat until bubbly and the berries are soft. Set aside. Beat the whipping cream until soft peaks form. Beat in the maple syrup. Refrigerate until ready to serve. 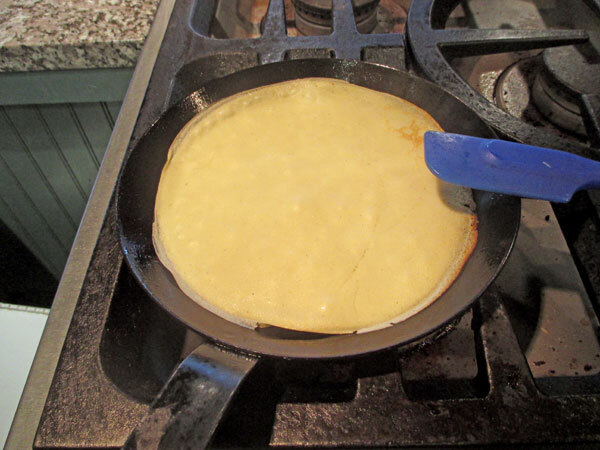 To prepare the crepes: Lightly spray a crepe pan or nonstick fry pan (8 inches in diameter). 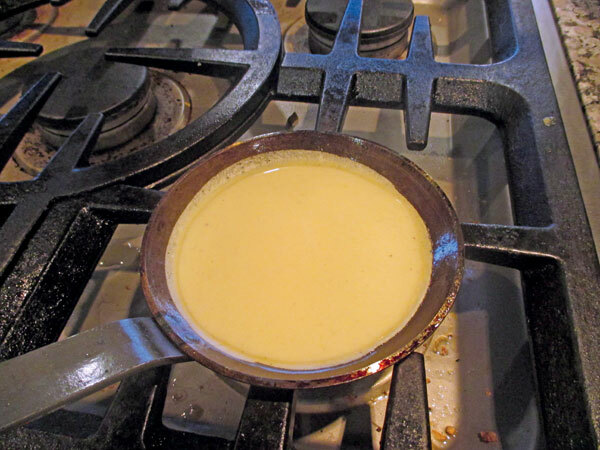 Add about ¼ cup of batter. Swirl to completely cover the bottom of the pan. Cook until the edges start to brown and curl up. 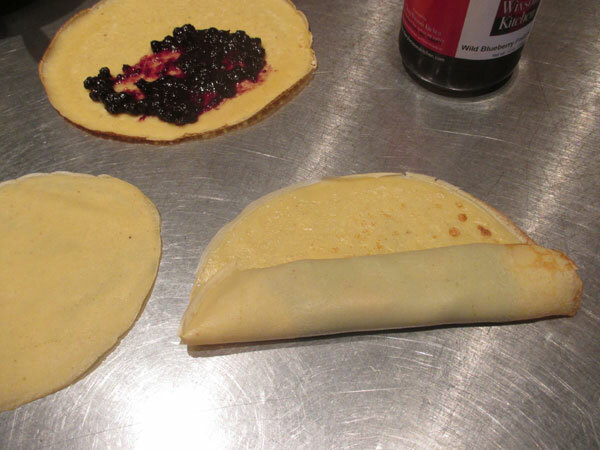 Using a spatula (or cast iron finger tips), gently remove the crepe and turn it over, cooking until lightly browned. Remove from pan, and continue cooking the rest of the crepes. 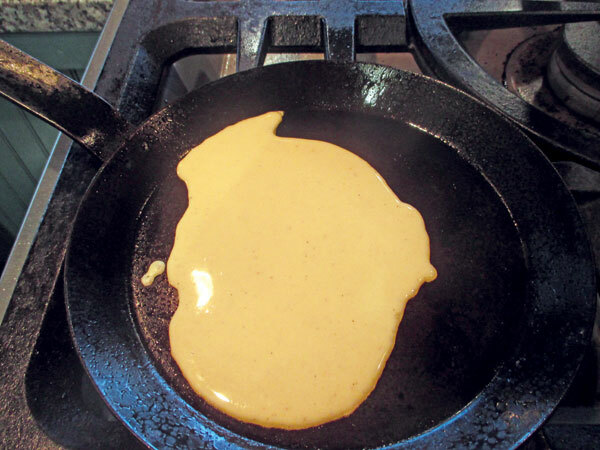 Be sure to grease the pan before making each crepe. 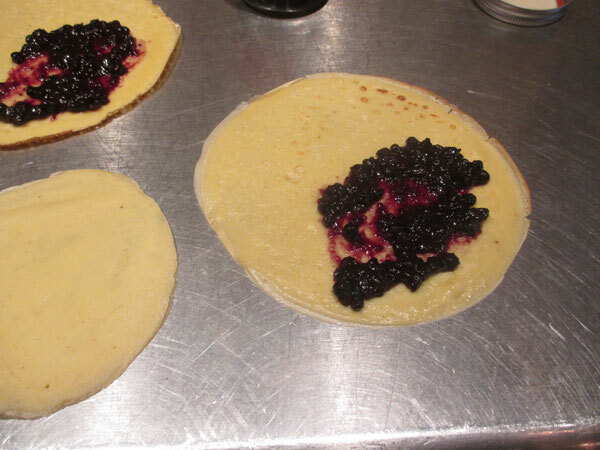 To assemble: Spread about ¼ cup of wild blueberry filling on ½ the crepe. Roll and transfer to a plate. Spoon the maple whipped cream over the top. Makes about 12 filled crepes. 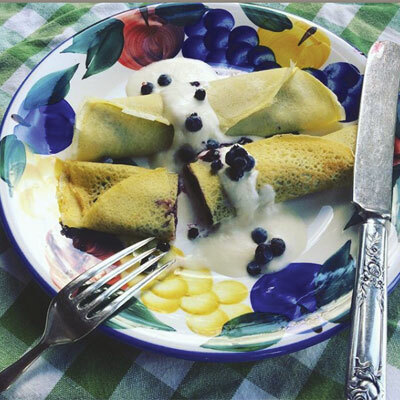 Chef Cheryl’s notes: For an excellent read about the art of making crepes, refer to: Doubleday’s CREPES COOKBOOK. This batter will keep in the refrigerator for several days. Bring to room temperature and stir well before using.